Imagine going for your morning jog when suddenly, a small robot carrying a yellow box whizzes by your head. You watch as the aircraft zips by a tree and makes a beeline towards your neighbors’ house. The machine gently drops a package on your neighbors’ driveway and quickly flies off into the distance. The reality of delivery drones in our residential areas may come as early as next year, barring the time it takes the Federal Aviation Administration (FAA) to create rules and regulations for this new fleet of commercial drones first proposed by Amazon. Soon after announcing its partnership with the U.S. Postal Service (USPS) for free Sunday delivery, Amazon unveiled a drone-based service called Amazon Prime Air on December 1, 2013. Amazon CEO Jeff Bezos explained in an interview with “60 Minutes” that the ‘octocopters’ will be able to deliver customers’ packages to their driveway within 30 minutes of the order being placed, and within a range of ten miles. Although residential drone delivery could afford many conveniences to consumers, there may be far more costs to this system than benefits. Amazon’s proposed new service is tailored for the consumer in that it provides an immediate, same-day delivery service that, importantly, changes the way we receive our mail. It could drive the company’s market competition, UPS and FedEx primarily, into developing their own delivery drones. At the very least, traditional delivery companies will need to find a way to keep up with increasingly consumer-minded online retailers. We as consumers will gain all the benefits from this competition as companies look to make the consumers’ lives more convenient. However, while UPS has begun researching drones as well, FedEx CEO Fred Smith firmly believes that though the drones can be used for local deliveries, USPS, UPS, and FedEx will still perform the majority of deliveries. Along these lines, one major issue for residential drone delivery is that it instigates unfair competition with the already struggling traditional mail services of the USPS, UPS, and FedEx. The potential exists for these unmanned aircraft to completely replace the need for traditional truck-driving mail carriers. The USPS has been losing money annually due to increased use of the Internet for communication needs and bill payments, so replacing physical mail carriers would likely cause even more people in this field to lose their jobs. Likewise, if these commercial delivery drones are allowed, other companies will want to implement drones for their products too, such as the DomiCopter for Domino’s Pizza or the TacoCopter concept. Ideas like these would put the people who traditionally deliver pizzas by car out of work as well. Nevertheless, using commercial drones would greatly reduce the amount of greenhouse gas emissions from carrier trucks, resulting in less overall pollution. Furthermore, it will be up to the FAA to sort out what regulations are needed to monitor the system, which may take up to four or five years. The FAA currently has a ban on using drones for commercial purposes, and it is still unclear how Amazon Prime Air would fit into the picture. The FAA may be interested in developing an air traffic system for drones similar to the existing system for airplanes, and the FAA would eventually need to find a way to regulate any commercial drone system once it is implemented. The FAA has already taken initial steps on these issues and will start to conduct research on civilian protection for commercial unmanned aircraft systems at six test sites starting this year. There are also legal hurdles that need to be considered before a residential drone delivery system can be executed. Problems may arise when the courts are needed to solve legal disputes about drones, which could range from privacy to copyright to tort issues. This would undoubtedly require Congress to address the issue by creating drone laws, which would then need to be decided upon in the courts in terms of having lawyers argue about drone law and establishing legal precedents in local, state and federal courts. The messy implications commercial drones could have in the legal field are troubling indeed. Americans already seem not to favor the idea of Amazon Prime Air despite the increased convenience of deliveries in under an hour. This may stem from the existing negative view Americans hold toward drones. Amazon has been very careful to only use the words ‘unmanned aerial vehicle’ or UAV to address the delivery aircraft, because of the negative connotations the word ‘drone’ brings. Because Americans are already uneasy with the overseas deployment of autonomous, ‘killing’ combat drones overseas due to human rights issues, they can only become more perturbed with the impact commercial drones could have on their daily lives, especially in regards to the privacy and safety. In terms of privacy, with the country already on edge after Edward Snowden revealed that the National Security Agency is spying on our phone conversations, if these delivery drones are allowed to fly through the air in our residential areas, would there be any way to make sure that only delivery drones are allowed to fly around? Although it may be a bit of a stretch, anyone could potentially build a drone that looks similar to an Amazon drone and have it fly through the air. If the drone has a camera installed on it and is used to spy on people, this would be a major invasion of privacy. If the FAA does not come up with strict enough regulations, a drone disguised as an Amazon delivery drone could secretly spy on random civilians. Furthermore, if Amazon delivery drones themselves require cameras in order to be remotely controlled and ensure safety, the camera footage could itself be an invasion of privacy, especially since Amazon will mainly be delivering packages in residential areas. 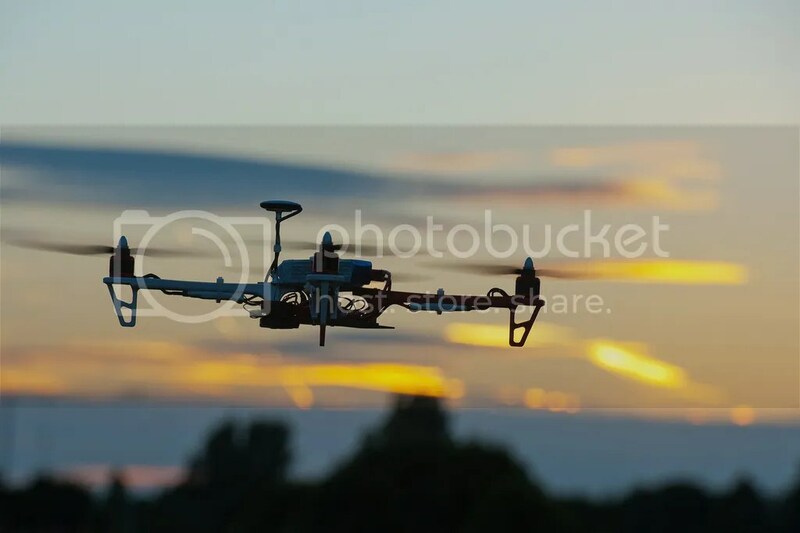 Additionally, a myriad of safety concerns arise in regards to how exactly the drones will be able to fly through a residential area without hitting any trees, bikers or pedestrians. People change the landscaping of their houses every once in a while, and unless Amazon installs cameras on all of its drones, it may be impossible for the drone to detect new changes in the environment that were not there a week ago. Moreover, if a drone does crash, break down or malfunction, would Amazon send out a human driver to recover that drone and complete the delivery? This would surely cause Amazon to incur more costs than planned by having to pay for the drivers as well as deal with any bad publicity. Amazon would need to be held accountable for any accidents that happen, and there would need to be a system for determining who is going to pay for any harm caused by the drones. When even a staged fake drone crash at UC San Diego caused alarm last year, Americans will definitely be expecting the assurance of strong civilian safety protections from Amazon before the company can win the approval of the general public for these delivery drones. There is still a long way to go before delivery drones can be implemented because there are simply too many downsides to this system that must be addressed. The only information we have so far about Amazon Prime Air comes from Amazon’s website and CEO Jeff Bezos’ interview, and there is no way to know exactly what precautions the company is or is not taking in the development of this new system. Only time will tell whether the world is ready for drones to take over our skies.